Bipartisan legislation sponsored by Assembly Democrats John Burzichelli, Raj Mukherji and Annette Quijano that will overhaul the criminal justice process in New Jersey by creating a fairer bail system, improving public safety and providing a way to fund legal services for low-income residents has been signed into law. The new law (A-1910) will reform the way in which bail and pretrial release determinations are made; provide courts with the authority to deny pretrial release; establish speedy trial deadlines; and authorize the Judiciary to revise fees to help fund a pretrial risk assessment and monitoring program, legal services for the poor and other court-related programs and services. Most of the provisions of the law will not go into effect until January 2017, predicated on voter approval of a ballot measure this fall granting the legislature the authority to make these changes to New Jersey’s bail system. The law addresses several key areas, a number of which stem from recommendations made in a March report by the state Supreme Court’s Joint Committee on Criminal Justice. Broadly speaking, the law is designed to encourage the courts to primarily relying upon pretrial release by non-monetary means to reasonably assure an eligible defendant’s appearance in court when required, to protect the safety of any other person or the community, to ensure that the eligible defendant will not attempt to obstruct the criminal justice process, and will comply with all conditions of release. The law also authorizes the court, upon motion by a prosecutor, to order pretrial detention of an eligible defendant when it finds clear and convincing evidence that no condition or combination of conditions can reasonably assure the effectuation of the above-stated goals. Monetary bail could be set for an eligible defendant only after the defendant’s commitment to jail and when it is determined that no other conditions of release will reasonably assure the defendant’s appearance in court when required. Under the pre-trial release program, a risk assessment will be conducted on any person committed to jail after being arrested on warrant for an initial charge involving an indictable offense or disorderly persons offense. This assessment must occur within 48 hours of the person’s commitment to jail. The assessment will make recommendations to the court concerning an appropriate pretrial release determination, including whether the person should be released: on their own personal recognizance or on execution of an unsecured appearance bond; on a non-monetary condition such as avoiding contact with an alleged victim or witness, or reporting on a regular basis to a designated law enforcement agency; upon execution of a bail bond, other than an unsecured appearance bond; or, on a combination of monetary bail and non-monetary conditions. 13) be placed in a pretrial home supervision capacity with or without the use of an approved electronic monitoring device. •any other crime for which the prosecutor believes there is a serious risk that the eligible defendant would not appear in court, would pose a danger to another person or the community, or would attempt to obstruct justice or threaten, injure, or intimidate a prospective witness or juror. 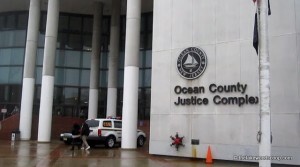 In order to prevent defendants from being detained for inordinately long periods of time, the law also establishes statutory pre- and post-indictment speedy trial deadlines for eligible defendants based upon suggested deadlines contained in recommendations the March 2014 report of the New Jersey Supreme Court’s Joint Committee on Criminal Justice. Barring various exceptions, an eligible defendant must not remain detained in jail for more than 90 days, not counting excludable time for reasonable delays, prior to the return of an indictment. Eligible defendants who have been indicted must not remain detained in jail for more than 180 days on that charge following the return or unsealing of an indictment, before commencement of their trial. except for permissible excludable time for reasonable delays as laid out by the bill.